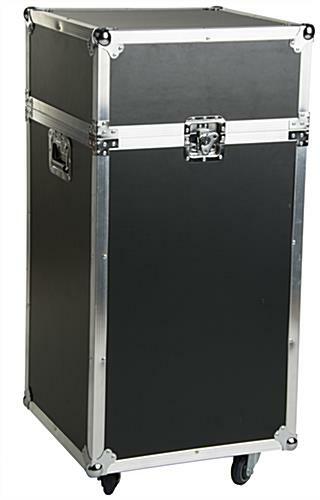 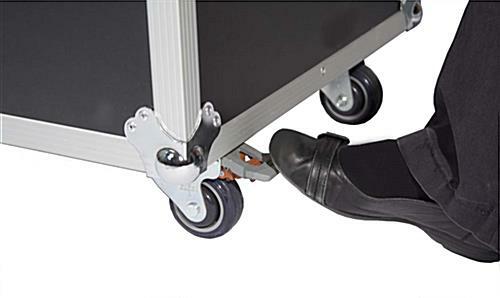 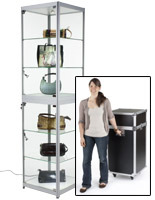 This portable showcase is an all in one unit that is equipped with a rolling protective carrying case for easy transportability. 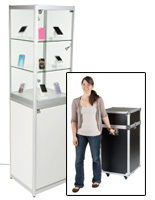 Knockdown and set up can be completed in minutes, making these display cases ideal for trade show exhibits. 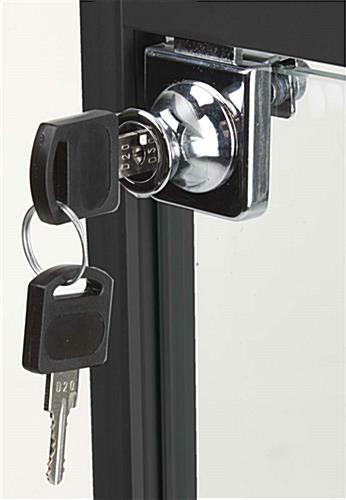 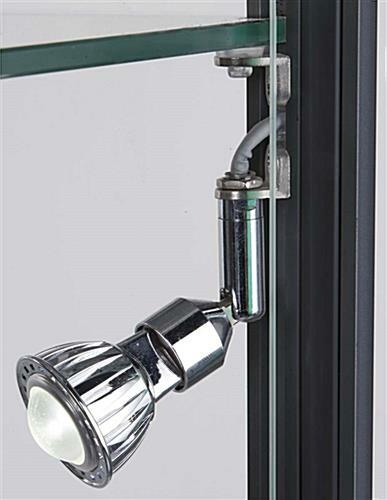 Conveniently lock away out of sight personal items or presentation materials with each half view showcase. 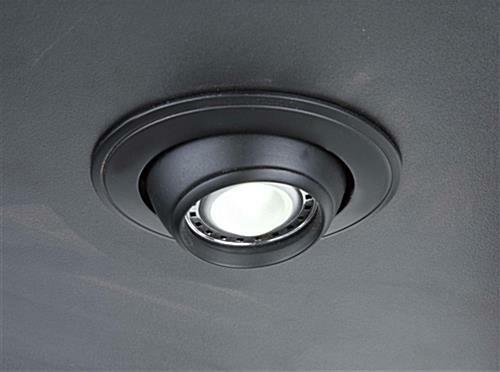 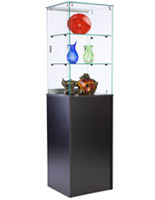 Consumer interest will be peaked with the black melamine coated side panel base which draws attention up to the well-lit glass case and the contents being presented within. 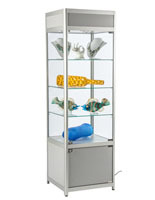 A tasteful and enticing fashion jewelry display can be achieved by utilizing this showcase. 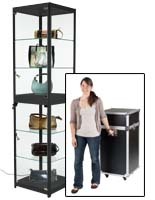 No longer will products need to be set up on a countertop and watched at all times at a trade show. 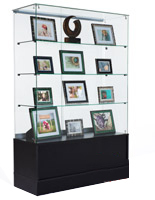 Instead, feel free to interact with consumers knowing items are safely locked within the display cases for optimal viewing from all sides.